Is Your Thyroid Protected Against the Ongoing Radiation From Fukushima? 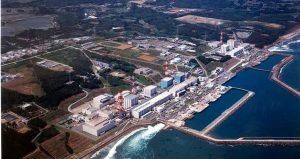 On March 11, 2011 a violent earthquake rocked the Fukushima Daiichi Nuclear Power Plant in Okuma following a tsunami that caused significant coastal damage in the area of $360 million. Although the active reactors were immediately and automatically shut down, the lack of sufficient power caused the generators to stop working. This left the pumps without the electrical power necessary to cool the reactors. These events are what caused the three nuclear meltdowns as well as the release of radioactive substances and the hydrogen air explosions. To make matters worse, there was no immediate action taken to stop the radiation. It took months before engineers were finally able to stop the emissions after they finally halted the leakage. The surrounding environment has already been officially declared contaminated and the contamination is spreading at a slow but steady rate. 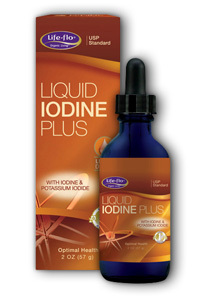 Iodine is a naturally occurring element and the body needs only very little of it. The body needs it in order to produce hormones that are critical to survival. Hormones produced by the thyroid gland regulate the body’s metabolic rate, digestive system, brain development, bone preservation and muscle control. If this gland is not well, we are not well. The thyroid gland will absorb every form of iodine it comes into contact with, including the radioactive kind. This is what makes the radioactive form that is spreading on an ongoing basis so hazardous to your health. The radiation has already spread to some areas of the United States. These kinds of gases can cause cancer when the the body’s hormone-producing glands absorb them. This penetrating, harmful radiation from Fukushima has been absorbed by most parts of the western half of the United States and probably more than that. It’s having an effect on many of us, even though we are unaware of just how. The hormone regulating glands are especially vulnerable because they need pure sources of iodine, not the radioactive kind, in order to keep us well. The deficiency of this important nutrient is a growing problem, with up to a third of the global population being deficient in it. Have you ever checked the salt you cook with to see if it has it? Many people simply don’t, but that alone can make a significant difference. After all, not that much is needed. Just enough so there is a continuous supply of it to the thyroid gland. It doesn’t have to come to cancer before your hormonal glands start experiencing problems. By the time there are signs and symptoms of cancer, there were problems probably years before then. When the function of the hormonal glands have been corrupted by whatever poison, the effectiveness and potency of the hormones produced are much less than they should be. Hypothyroidism is a condition that is associated with low hormones. Feeling tired all the time and gaining weight are two unhealthy symptoms of this disorder. Prevent these health dangers that might affect us all by taking supplements or using iodized salt with your meals. A pinch of salt can truly go a long way. For those who have to watch their salt intake can take a supplement to supply all the iodine needed to protect your thyroid from damage. 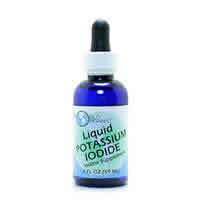 Have you had your iodine today? Why Is Ubiquinol So Much Better Than Standard COQ10(Ubiquinone) ? ?